The Carter Burden Gallery in Chelsea only shows works by artists who are at least 60 years old. Under the Stars by Nieves Saah. 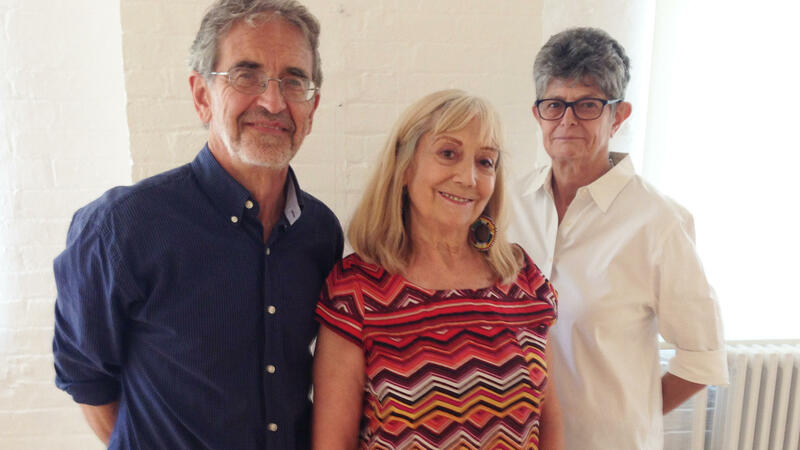 Artists Werner Bargsten, Nieves Saah and Elisabeth Jacobsen have all shown their work at the Carter Burden Gallery. An untitled work by Werner Bargsten. "Older adults do not stop being who they are because they hit a particular age," said gallery director Marlena Vaccaro. "Professional artists never stop doing what we do, and in many cases we get better at it as we go along." What does change is the art market. With rare exceptions, artists who were hot when they started out found that galleries, and certainly museums, cooled to them as years passed. They kept making art, but weren't being shown or bought. Carter Burden's mission is to give them a wall, "because walls are the thing we need," Vaccaro said. According to Vaccaro, very few galleries represent older professional artists, unless they're really famous. "And I get that," she said. "Galleries are a business. They need to show artists that are going to bring in big bucks." Carter Burden is different. It's a nonprofit, supported by a board, a corporate sponsor and philanthropists. "That allows us to show the work that is purely an aesthetic choice, and not be concerned if I'm going to get $25,000 for a painting that sells," Vaccaro explained. "We could not do that if we had to survive just on the sale of the work." Artist Nieves Saah, 67, originally from Bilbao, Spain, has painted all her life. "My first show was in SoHo in '85," she said. "And I had like 28 paintings there. I sold a few, and then from that I got many shows. I think that year I was in like 15 shows." Then things slowed down. There wasn't much interest for 10 years. Saah kept on painting her figures and fantasies in vividly colored, cheerful oils. One day she heard about Carter Burden and decided to apply online. "I was in a show one month after I sent the application," she recalled. Carter Burden always shows two or three artists together, and it only exhibits artists who live in New York. Every artist brings their people, those people become regulars and it just builds and builds. Shows are up for three weeks, then there's a week-long break, then another three-week show. Five hundred people can turn up at openings. (There's always wine, pretzels and chocolate.) Visitors nosh, schmooze and buy, and artists get to know each other and see and comment on one another's work. "It is community," said Elisabeth Jacobsen, 68, an artist from Long Island. And it's necessary, she said, because "when you do your artwork, you usually are alone." Jacobsen does assemblage, putting wood, fabric and various objects together into elegant, 3-dimensional works. She has exhibited pretty consistently since the late 1980s, and at Carter Burden since 2014. But that took time. She said, "When I first heard of the gallery, I sent an application, but I was rejected and got one of these letters like, you know, 'In a couple years, try again.' " She did, and now often shows and sells at the gallery. Werner Bargsten, a newbie, had his first show this past October. It consisted of stunning, powerful sculptured wall hangings made with clay and copper tubing, and formed into what look like wrapped packages. At 69, Bargsten is glad to be part of the Carter Burden over-60 crowd. "I mean, look, it's always harder to get out of bed the older you get, but most of the artists that I've met here seemed like they missed that memo that they were getting old. Most of them have the brains of a 20-year-old or a 30-year-old or something. So they haven't really aged in terms of their spirit." When asked if the gallery's mission is ageist, director Marlena Vaccaro said, "I think it's more a defense against ageism. ... I think it's giving an opportunity to a group of people that have had the opportunity removed simply because of their age. Opportunities are few and far between at any gallery for any artist of any age, so I think we're trying to just right a wrong, rather than get in the way of anyone else having an opportunity." It's such a lively, bustling place, the Carter Burden Gallery in Chelsea. Young New York artists may dream of reaching 60 just to be a part of it. Shannon Rhoades and Andrew Limbong edited and produced this story for broadcast. Nicole Cohen adapted it for the Web. 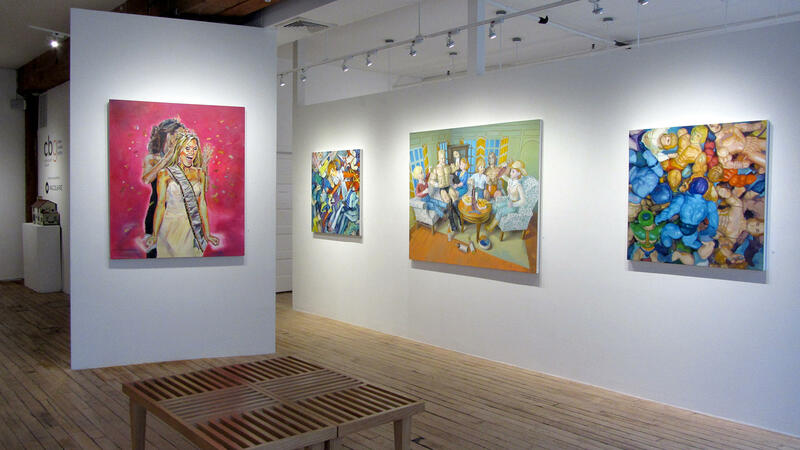 Our special correspondent, Susan Stamberg, has been visiting an art gallery in New York. The Carter Burden Gallery is like plenty of other galleries with one important difference, and the difference tells you a lot about age discrimination in the art world. SUSAN STAMBERG, BYLINE: So I'm 59 years old. I'm playing make believe with gallery director Marlena Vaccaro. And I have a wonderful painting, and I'd like to show it here. Would you take a look? MARLENA VACCARO: I probably wouldn't take a look, but I would say there's good news and bad news. Good news is you're 59. Bad news is you're 59. Come back next year and, you know, that would be great. STAMBERG: The Carter Burden is for artists 60 years old and older. The oldest is 95. No kids allowed. Why? VACCARO: Older adults do not stop being who they are because they hit a particular age. Professional artists never stop doing what we do. And in many cases, we get better at it as we go along. STAMBERG: What does change is the art market. With rare exceptions, artists who were hot when they started out found that galleries and certainly museums cooled to them as the years passed. They kept working but weren't being shown or bought. The Carter Burden mission is to give them a wall. VACCARO: Because walls are the thing we need. STAMBERG: Very few galleries represent older professional artists, Vaccaro says, unless they're really famous. VACCARO: And I get that galleries are a business. They need to show artists that are going to bring in big bucks. STAMBERG: Carter Burden is different. It's nonprofit, supported by a board a corporate sponsor and philanthropists. VACCARO: And that allows us to show the work that is purely an aesthetic choice and not be concerned if I'm going to get $25,000 for a painting that sells. We could not do that if we had to survive just on the sale of the work. STAMBERG: Three artists came by the day we were there. Nieves Saah, age 67 from Bilbao, Spain, has painted all her life. NIEVES SAAH: Yes, my first show was in SoHo in '85. And I had like 28 paintings there. I sold a few. Then from that, I got many shows. So I think that year I was like in 15 shows. STAMBERG: And then things slowed down, not much interest for 10 years. Nieves kept painting vividly colored cheerful oils, figures, fantasies. One day, she heard about Carter Burden and decided to apply online. SAAH: I was in the show one month after I sent the application. STAMBERG: A group show, two or three artists together, always at Carter Burden, also always and only artists who live in New York. Nieves has been in four or five shows now. She likes the concept - artists supporting one another, making community. VACCARO: Tons and tons and tons of loyal people come. STAMBERG: Again, Director Marlena Vaccaro. VACCARO: All of the artists come out to support each other. Every artist brings their people in. Those people become your regulars. And it just builds and builds. STAMBERG: Shows are up for three weeks, then there's a weeklong break, then another three-week show. Five-hundred people can turn up at openings. There's always wine, pretzels and chocolate. Visitors nosh, schmooze, buy. Artists get to know one another and see and comment on one another's work. ELISABETH JACOBSEN: It is community. When you do your art work, you usually are alone. STAMBERG: Elisabeth Jacobsen is 68, from Long Island. She does assemblage, puts wood, fabric, various objects together in elegant three-dimensional works. 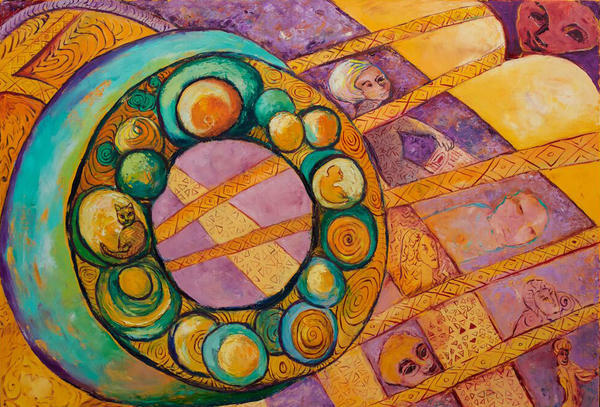 She's exhibited pretty consistently since the late 1980s, and at Carter Burden, since 2014. But that took time. JACOBSEN: When I first heard of the gallery, I sent an application but I was rejected and got one of these letters like, you know, in a couple years try again, blah, blah, blah, you know. STAMBERG: She did and now shows and sells there often. 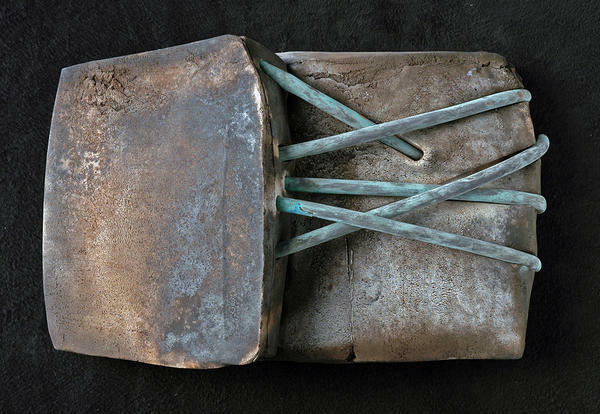 Werner Bargsten is a newbie, had his first show this past October - stunning, powerful sculptured wall hangings made with clay and copper tubing formed into what looked like wrapped packages. Werner had stopped doing art for 30 years. His career was making props for TV and films. Retired now, we spoke before his Carter Burden show opened. WERNER BARGSTEN: I'm supposed to have expectations, but I don't have really expectations because I feel like, you know, I'm lucky to be here. Every day is - I'm lucky to be alive. I feel good. It'd be great to have a lot of people here and see the work. And my expectation, I guess, is to just show up, put the piece on the wall and have a cookie or a glass of - I can't have wine anymore. You know, no more wine. So that's it pretty much. STAMBERG: Well, he sold some drawings, but there weren't any cookies. At 69, Bargsten is glad to be part of the Carter Burden over-60 crowd. BARGSTEN: I mean, look. It's always harder to get out of bed the older you get. But most of the artists that I've met here seemed like they missed that memo that they were getting old. Most of them have the brains of a 20-year-old or a 30-year-old or something. So they haven't really aged in terms of their spirit. STAMBERG: Isn't this ageist what you're doing here? VACCARO: I think it's more a defense against ageism. VACCARO: I think it's giving an opportunity to a group of people that have had the opportunity removed simply because of their age. Opportunities are few and far between at any gallery for any artist of any age. So I think we're trying to just right a wrong rather than get in the way of anyone else having an opportunity. STAMBERG: It's such a lively, bustling place the Carter Burden Gallery in Chelsea, makes you wish you'd get 60 quicker to be part of it. Making believe again, I'm Susan Stamberg, NPR News. Transcript provided by NPR, Copyright NPR.